Getting a good cup of coffee is serious business. 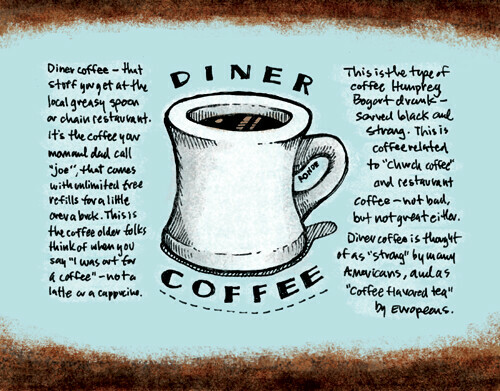 Like a subdued sidekick, diner coffee is a lot different than what comes steaming at you from the local barista. Anyone from the East Coast (particularly New Jersey, New York, and the Philly Burbs) knows that anytime is “diner time”. However, not all diner coffee is created equal. ‘Round these parts of semi-rural suburbia, THE BEST diner coffee is at The Red Lion Diner. It’s consistently fresh, flavorful, and strong whether it’s served first thing in the morning or in the wee hours of the night. This is a very big deal to the discerning coffee drinker, the business luncher, and the late-nighter. The Red Lion Diner not only uses one of the finest longstanding brands of diner coffee, but they also know how to brew it well. An added perk to their great coffee is the friendly service and relaxed atmosphere where breakfast is served all day. The Red Lion Diner at 1650 Easton Road is the “it” place for a simple, fresh cup of tried and true diner coffee.